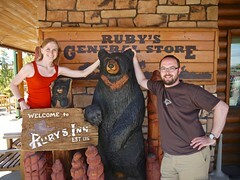 On Wednesday we took a day trip out to Bryce Canyon. 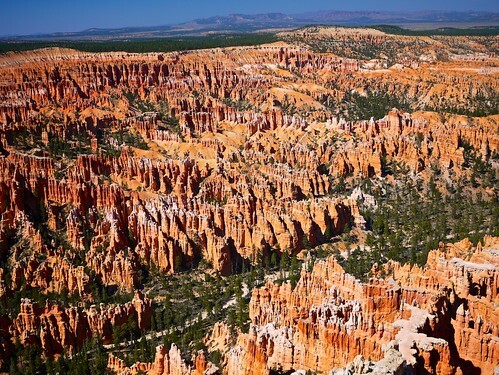 What's cool about Bryce is you get immediately "wow" factor when you see the canyon. 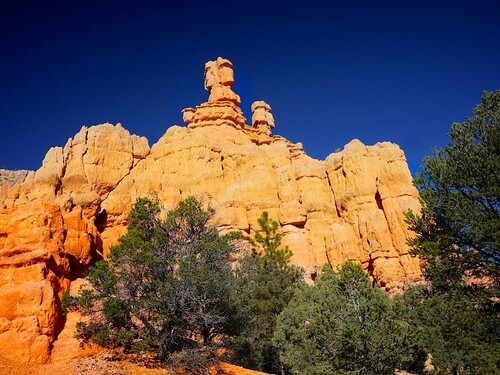 You look out and you see red hoodoos popping out everywhere...it's just...wow. From what I can tell, Bryce is more popular than Zion. When I told people we were going to Zion, many didn't know where it was; however, they always seem to know Bryce. And yet, Bryce is smaller than Zion. It's gotta be that immediate wow-factor. Anyway, I like them both as they are both quite different. They may have the same stone, but the way they eroded over the years is different - Zion has high, towering walls, but Bryce dips down. Zion is more flat surfaced, and Bryce more curvy. In my opinion. We stopped at several points around the park. 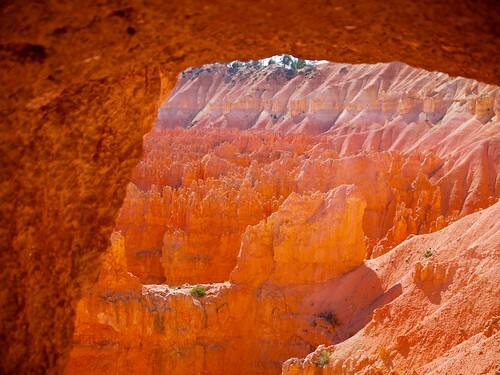 My favorite was Sunset where there is the most awesome trail, The Navajo Loop Trail. 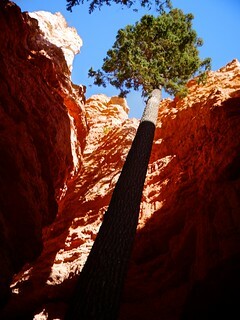 You hike down into the rocks and see everything up close - trees and rocks soar upward. Then you get to points where you just look out into the canyon. In this picture, I peek out from a rock "window." The colors are awesome. At this point, you might be wondering why I chose to call this "Flip Flopping in Bryce." 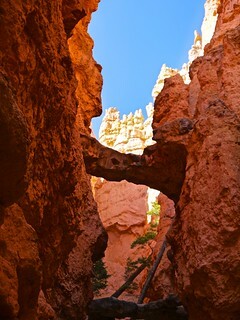 Well, I forgot to change out of my flip flops for the Navajo Loop hike, so I hiked in my flip flops. I'm talented like that. 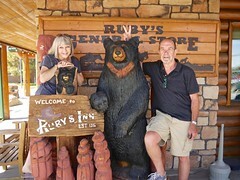 We topped off our visit with a stop at Ruby's Inn for a lil' snacky-snack. Oh, and on the way out, we were sure to get a glimpse of Red Canyon. It's also pretty "wow" too. In a nutshell, it's all just WOW. So you should go someday and be "wowed."